Investing in real estate is becoming an increasingly popular option — understandably so, given how sound an investment it often is. As with any investment, there is tax law involved. When investing in real estate, it can be even more complex because there are also realty-related laws and regulations to navigate. 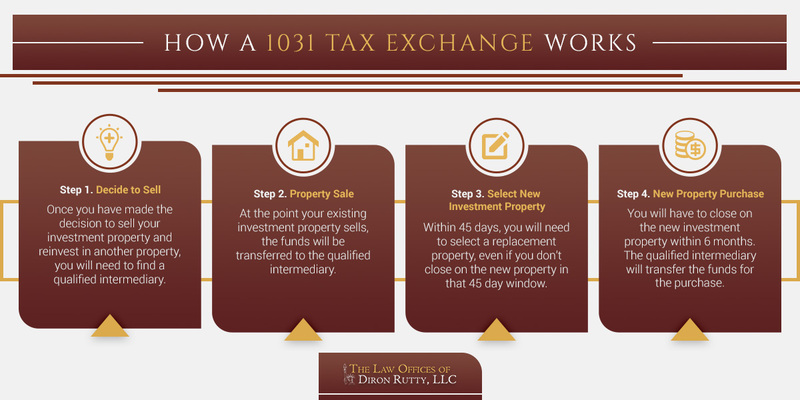 When it comes to real estate investments, the 1031 tax exchange can be an invaluable process. The 1031 exchange is, at the most basic, a way of deferring taxes when buying and selling real estate specifically for investment purposes. The 1031 exchange is also commonly called the “like-kind” exchange because it allows you to exchange one investment for another similar investment without cashing in on it (and incurring the taxes that go with cashing out that investment). Even better, there is no limit on how many times you can use a 1031 exchange to roll one investment over to another. The end goal is so that you’ll only have to pay taxes on your invested funds once, not every time you sell and buy new investment properties. As with any tax law, there are a few restrictions to ensure the process isn’t abused. The big restriction is that you cannot use a 1031 exchange on your primary residence. It’s strictly for business and investment properties — and that doesn’t really include vacation rentals. In addition, you will have to designate a replacement property. When making the exchange, you can’t receive the cash at any point along the way, or the 1031 exchange is off and you’ll be taxed. An intermediary will need to receive the cash from the property sale on your behalf, then hold it until it’s time to close on the new property. You may opt for a delay, but you’ll still need to close on the new property within six months. As you probably imagine, buying and selling properties with a 1031 exchange is more complex than a simple property purchase or sale. You’re involving real estate regulations and tax law, so there are additional steps to take and rules to make sure you follow. One of the key elements is finding the appropriate intermediary to handle the exchange of funds so you don’t actually handle the money yourself. This is where a real estate lawyer can help. They can ensure you follow the requirements of the 1031 exchange properly, so you don’t end up paying taxes on your investment too early. When going through a 1031 exchange, there will be different rules and regulations depending on the state in which the properties reside. It gets even more complex when doing a 1031 exchange across state lines, so definitely consult with a real estate lawyer to check for potential pitfalls or regulatory differences. In New York specifically, there are potential taxes if you are a non-resident, and if you’ll be undertaking a reverse exchange. Given the number of potential hurdles, it’s always a good idea to work with a real estate lawyer for any 1031 exchange. 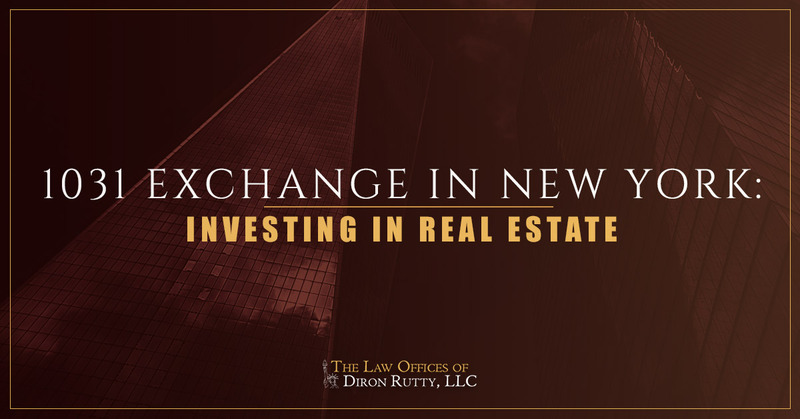 Connect with the Law Office of Diron Rutty, LLC for experienced help in real estate law in the Bronx and across New York City.